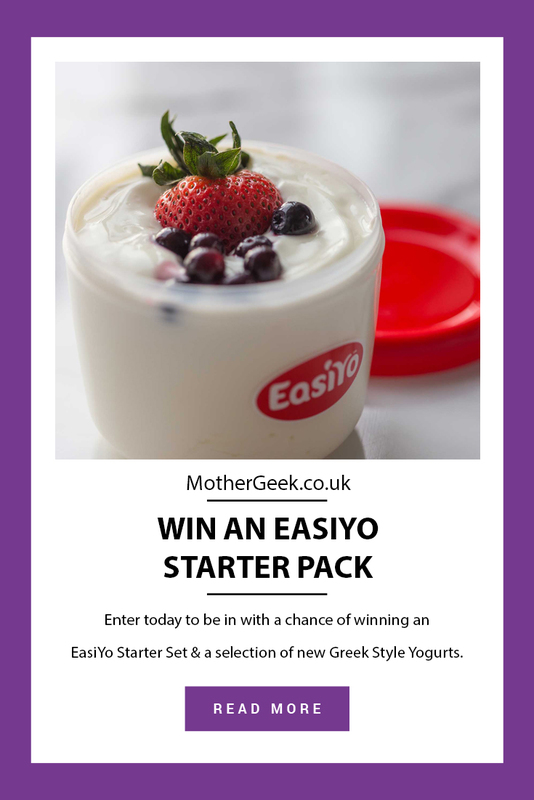 To celebrate the launch of EasiYo’s NEW Greek style yogurt flavours… EasiYo are giving my blog readers the chance to win an EasiYo starter pack and a selection of NEW Greek style yogurts! What’s in an EasiYo EasiYo starter pack? 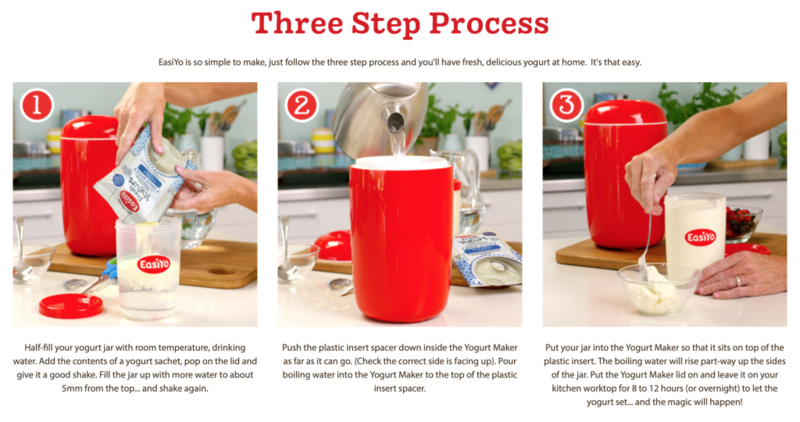 EasiYo Yogurt is so simple to make, even the kids can do it! You just mix the EasiYo sachet with water, and place it into the EasiYo yogurt maker. Pour Eight hours later there’s 1kg of delicious yogurt for you to enjoy. 1 x Strawberry Yogurt Mix (Sweetened) (makes 1kg). The make-at-home yogurt brand has added six new flavours to the range – all delectably Greek style. Consumers can choose from Black Cherry, Blueberry, Apricot, Strawberry, Lemon, and Strawberry & Banana. They all sound delicious to me, but I think strawberry and banana is top of my “must try” list! Each regular EasiYo sachet costs around £2.60. The new Greek sachets cost around £3.30 each. To buy online and to see the full list of EasiYo stockists, please visit: www.easiyo.com. Additionally, you’ll find recipes and loads of information there too! To be in with a chance of winning an EasiYo starter pack and a selection of NEW Greek style yogurts… Fill in the Gleam form below! 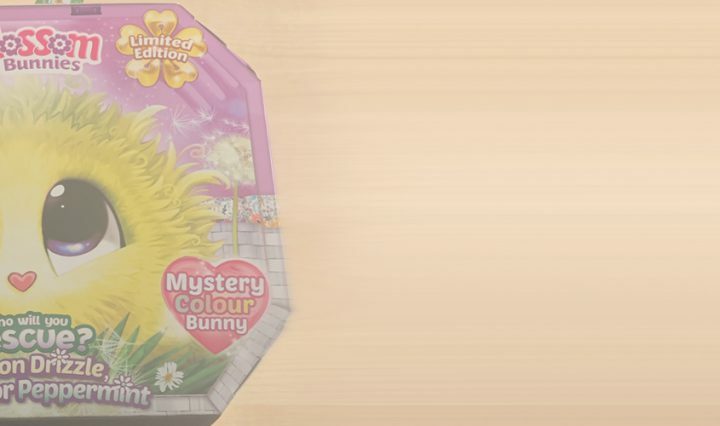 Don’t forget to comment and let me know which of the new flavours is top of your wish list! You can choose from: Blueberry, Apricot, Strawberry, Black Cherry, Lemon, and Strawberry & Banana. 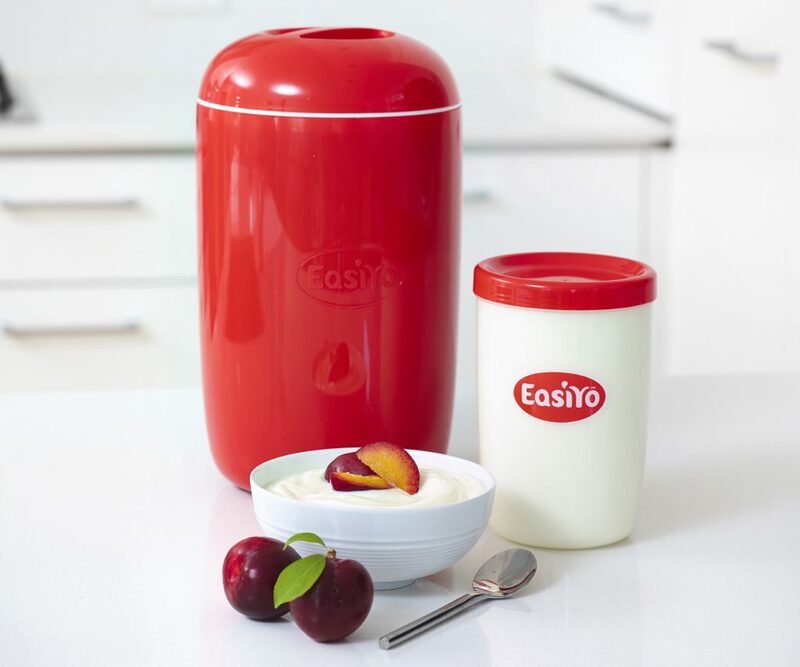 One winner will get 1x EasiYo starter pack and a selection of NEW Greek style yogurts (Subject to availability). This giveaway is open to UK residents only. The winner will be drawn and notified via email within 48 hours of the giveaway ending. If the winner fails to respond within 48 hours of the email being sent, their prize will be forfeit and another winner will be drawn. 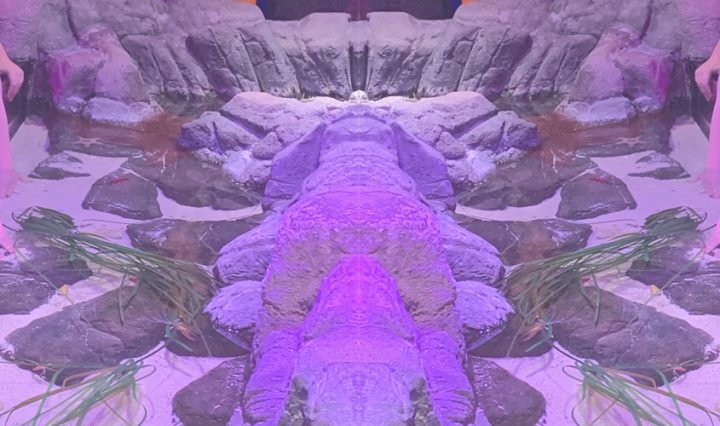 Finally, why not check out my other giveaways here! I’d like to try the blueberry one most, but they all sound yummy. I spend way too much on yoghurt so this would be super useful. I’d like to try Black Cherry the most. Would love to try black cherry! I love Greek Yoghurt with honey. Lemon or Strawberry and Banana would both go down well in my house! I would love to try lemon…good luck everyone. Lemon. It’s my latest craving ! Especially good with fresh raspberries. Black Cherry for me please! Apricot sounds tasty and different. Lemon – sounds refreshing and perfect for summer! I’d love to try Black Cherry, sounds yummy! Lemon- love proper citrus flavours! Black cherry would be top of my list to try! My fave of course…. strawberry and banana! I’d love to try the Black cherry flavour first. Lemon for me – I love zingy flavours, although the rest of the family would plump for strawberry & banana! I would love to try the Strawberry and Banana flavour. would really love to try blueberry first – sounds so tasty!! I would love to try the Lemon one. The strawberry & Banana sounds really good to me, thanks. The Lemon sounds lovely and refreshing, I love Greek yoghurt! I would love to try the blueberry flavour. It has to be the Black Cherry. Yum. I want to try the black cherry flavour. I love anything cherry yum. They all sound great but I would like to try the Lemon the most. Has to be Black Cherry for me, as its one of my favourites. I mostly want to try Strawberry & Banana. It sounds delicious.